Dell EMC, the number one provider of cloud infrastructure, is announcing several enhancements to its cloud-enabled infrastructure solutions portfolio to help customers maximize the value of their IT ecosystem and multi-cloud environments. Coupled with innovation from across Dell Technologies, Dell EMC is delivering a broad portfolio of cloud solutions that caters to all types of applications and creates a consistent experience across cloud platforms. The increasing amount of data brought about by mobility, artificial intelligence (AI), analytics, Internet of Things (IoT), edge computing, along with traditional workloads, is driving demand for all types of clouds, including public, managed and on-premises. 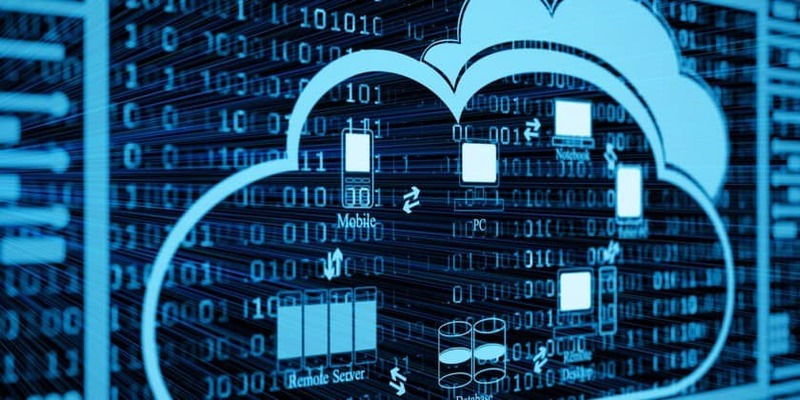 In a survey conducted by Forrester, commissioned by Pivotal, a Dell Technologies business, and Microsoft, 100% of respondents are using multiple cloud infrastructure and/or cloud application platforms. Additionally, 99% believe a consistent, unified approach to deployment, operation and use of combined infrastructure-as-a-service (IaaS) and platform-as-a-service platforms enables better IT service to business. Cloud decision-makers in this study also said they look for integrated PaaS and IaaS with consistent identity and access controls, development experience, runtime environments and migration services. Organizations increasingly are adopting a sophisticated mix of cloud platforms and are seeking a consistent user experience to balance their unique needs, costs, risks and preferences. Dell EMC offers best-of-breed, pre-engineered solutions to provide a variety of multi-cloud platforms and reference architectures. This includes IaaS with VMware for traditional applications; platform-as-a-service (PaaS) architecture and containers with Pivotal for cloud-native applications; an enterprise-class public cloud platform with Virtustream; and, Azure services on-premises with Microsoft Azure Stack. With hardware, software integration, tooling and documentation combined, organizations can accelerate time to results, simplify daily operations and achieve greater levels of efficiency and transparency. Right now, Dell EMC and VMware are simplifying and accelerating paths to the software-defined data center (SDDC) and multi-cloud with Dell EMC VxRail and VxRack SDDC hyper-converged infrastructure (HCI) solutions. VxRack SDDC, pre-integrated and constructed to deliver the latest technology from VMware Cloud Foundation, offers the ultimate infrastructure foundation for realizing a VMware multi-cloud. With new capabilities to match the needs of customers’ own workloads, VxRack SDDC features the VMware SDDC software suite pre-integrated on a wide range of VxRail hardware. It also features automation and serviceability extensions in SDDC Manager, with extensibility to a choice of public cloud providers. With Dell EMC VxRail as a pre-engineered and pre-validated IaaS platform and infrastructure foundation for PaaS, customers can more easily and quickly architect, implement and operate a complete SDDC, including VMware NSX and the VMware vRealize Suite, with less risk. New options of the VMware Validated Designs for VxRail now support distributed multi-availability zones architecture and multi-site deployments with disaster recovery. This enables customers to further reduce risk and simplify operations and maintenance with a validated, standardized SDDC design based on VMware’s best practices. Dell EMC Unveils Broad Enhancements to Cloud-Enabled Platforms 0 out of 5 based on 0 ratings. 0 user reviews.